Japanese culture nurtures a deep respect for nature. It is believed that the products of the Earth and the sea should be prepared in ways that preserve their natural forms and tastes, enhancing their own special characteristics. Food is often presented simply, but it is always a delight to the eyes, as well as to the taste buds. Sushi is a delicious, nutritious, and vibrant Japanese dish that you can make easily in your own home. Join Steven Pallett, sushi chef, as he guides you step-by-step through the art of sushi preparation. Steven clearly explains the origins of sushi and demonstrates how to make it, as well as how to eat it. 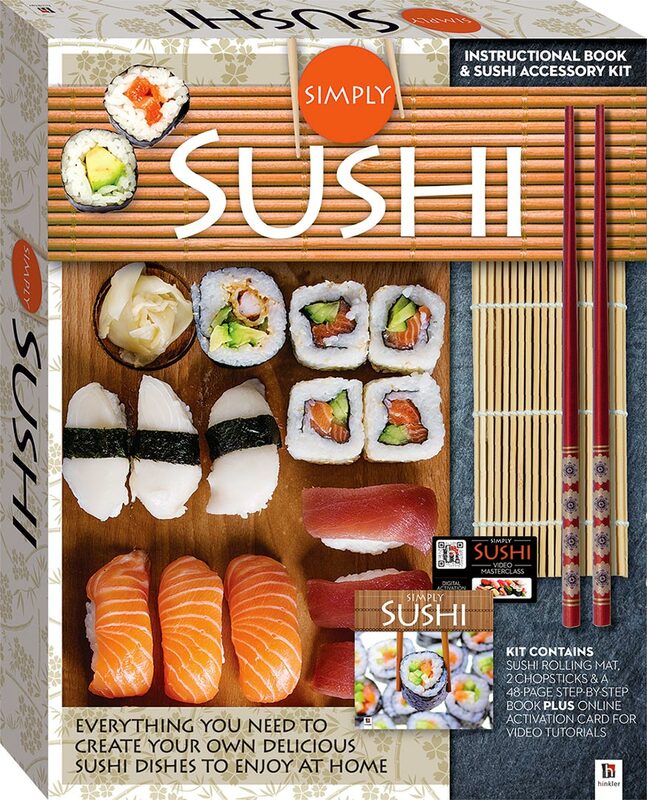 This 48-page Simply Sushi book includes step-by-step instructions as Steven Pallett introduces you to the origins of sushi, the tools and materials you will need, and the different types of sushi. All recipes include beautiful instructional photographs. The Simply Sushi video activation card includes access to stream a 65-minute hands-on, step-by-step demonstration of sushi preparation techniques. Enjoy the spoils of Steven Pallet’s extensive knowledge of sushi making, from tips on buying fish to making the perfect sushi rice.